Kangaderoo Custom QR Code. 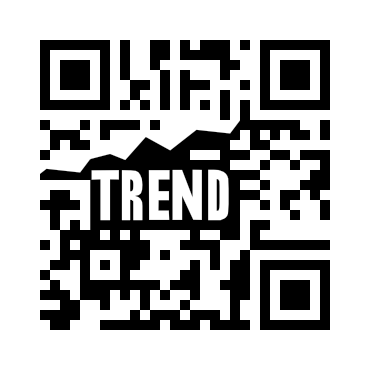 : QR Code(s), hot or not? Various topics about QR codes and crypto-currencies. QR Code(s), hot or not? Quote from the movie The Hitchhiker's Guide to the Galaxy: "As the Improbability Drive reaches infinite improbability"
Statistics is the study of the collection, organization, analysis, interpretation and presentation of data. Using tracking on QR Codes can give great insight of how, where, when and by whom the qr code was used. By analyzing this data trends can be observed. Acting on these trends is the way to fine-tune advertizement and marketing campaigns. There is also a risk in this however. Just as in real live, if you ask the wrong questions you will end up with the wrong answers. the same will happen if the right question is asked based on insufficient data. At the start of august there was an article that showed the picture as displayed below. This graph is generated using Google trends in order to check is a certain key phrase is popular or not. 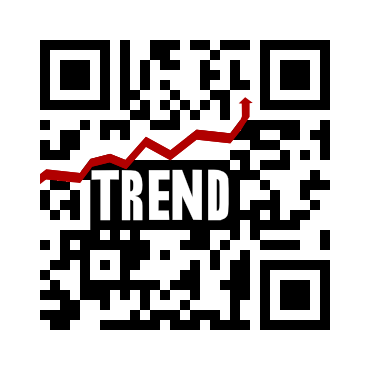 The phrase "QR Codes" showed a peak that could be interpreted as an increase in popularity. But when analyzing the popularity of both the phrases "QR Codes" and "QR Code" a different picture was painted, as can be seen in the following graphic. Both key phrases are plotted using the same scale, comparing the phrases to each other as well. The graphs don't show the same increase in popularity for both phrases; the more popular key phrase does not even show an increase, but a decrease in the popularity of the key phrase at the same time period. In order to check if something is actually becomes more popular all relevant key phrases should show the same trend in each of the graphics. Looking at the trend of the combined key phrases it cannot be concluded that QR Codes are becoming more popular at the moment. The eye of the QR Code. Make a QR Code part of your team.